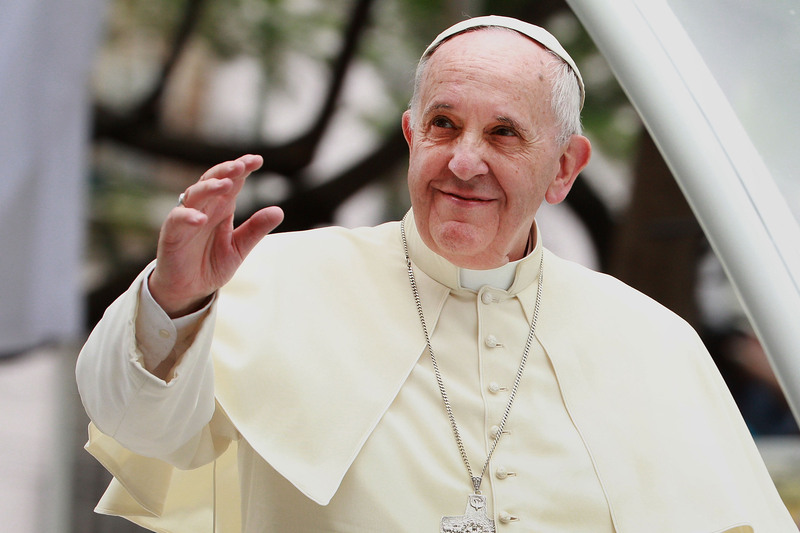 Admittedly, the Catholic Church has not always been the world's largest catalyst for change. The Pope has not traditionally used his position to advocate for greater equality — after all, he is the leader of a particular religious group with its own priorities. But on Wednesday, the man who has been called the "Cool Pope," Pope Francis called the wage gap a "pure scandal." He got so impassioned about the issue that he even went off-script, raising his voice in his weekly catechism address to emphasize how important it is that women get equal pay. The Cool Pope has taken surprising stances before, but Wednesday's statement resonated with people across the world, as it was an appeal not to nationalistic sentiment but to a worldwide struggle for equality. We all know the statistics about wage inequality in the United States — the 77 cents to a man's dollar that a white woman makes — but in our rallying for fairness, we often forget that unfair pay is a women's issue worldwide. That's why in front of an audience of thousands at St. Peter's Square, the Pope made an appeal for "equal pay for equal work" for the whole world to hear. Why is it taken for granted that women must earn less than men? No! They have the same rights. The discrepancy is a pure scandal. Women in the European Union are paid 16.4 percent less than men performing the same jobs, according to statistics agency Eurostat. Pope Francis said that Christians, as proponents of "radical equality," have a duty to "become more demanding" in "supporting with conviction the right of equal compensation for equal work." Francis also cited the decreased rate of marriages in recent years, which some Catholics view as a shunning of women's traditional roles in the domestic sphere. He decried the idea that this trend was caused by women's rights movements. Many consider that the change occurring in these last decades may have been set in motion by women's emancipation. This is an insult. This is not true. It is a form of machismo. Let’s not make the bad mistake that Adam did. Is the Pope saying that the Biblical father of all men, the man that God supposedly created in his own image, made a "bad mistake"? Why, yes, he is. In the Bible, Adam blamed Eve for making him eat the forbidden fruit, an action that the Pope is now verbally decrying. To claim that the most famous proverbial character in the Christian holy text made a large mistake when he made a sexist argument is, in and of itself, revolutionary. Let's have a toast to Pope Francis.